I’m so excited to announce that as of this week I’m the newest member of the Cooking Light Bloggers’ Connection! The Bloggers’ Connection is a group of bloggers who devote at least part of their blogs to discussions of delicious, healthy food and I’m extremely honored to be a part of this amazing and inspirational group of writers. As a member of this group, I’ll be sharing Cooking Light content with you twice per month. I’ve subscribed to Cooking Light for more than ten years and I have many favorite recipes that I’ve found in it’s pages. 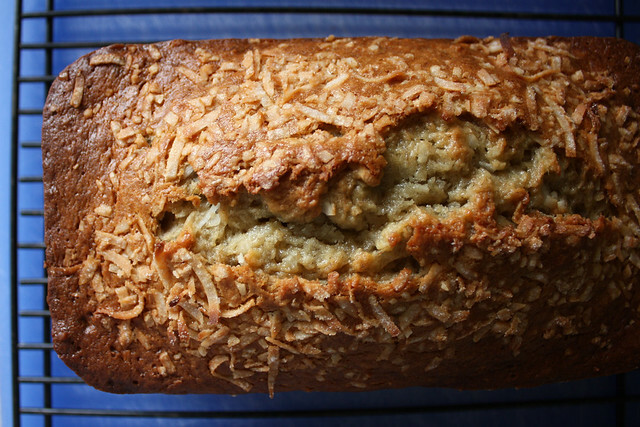 Today I’m going to share what is probably my all-time favorite Cooking Light recipe: Coconut Banana Bread with Lime Glaze. I vividly remember seeing this recipe the first time it appeared in the magazine because just glancing at the picture made me head out to the store to get the ingredients I needed to bake it. I’ve made it many times over the years, but it kind of fell off the radar for awhile there. 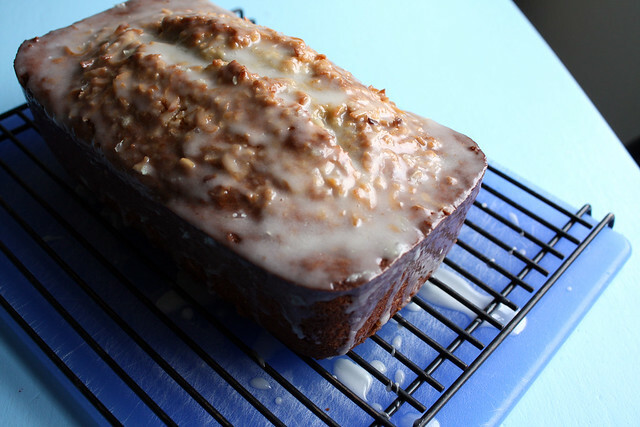 Zach (my husband) is a banana bread lover and I make the classic CL banana bread pretty frequently, but he’s also a banana bread purist and he strongly prefers that I don’t “get jazzy” too often so I usually keep things pretty simple. When he took off for a work trip this week, I saw my opportunity to get all crazy by making this recipe and took it! Bake at 350° for 1 hour (mine took closer to an hour and a half) or until a wooden pick inserted in center comes out clean. Cool in pan 10 minutes on a wire rack; remove from pan. Combine powdered sugar and juice, stirring with a whisk; drizzle over warm bread. Cool completely on wire rack. We did not allow this to cool completely on the wire rack before eating! It smelled so delicious and looked so yummy that the boys and I had to cut into it and each have a piece. I thought it was heavenly. The coconut gives it a nutty richness and then the lime glaze cuts through with a perfect burst of sweet acidity. The boys liked it, but they both picked the coconut off the top. I tried to explain to them the the bread itself was loaded with the stuff, but they didn’t seem to care about that — they just kept eating the bread and picking off the visible coconut. Heh. How about you? 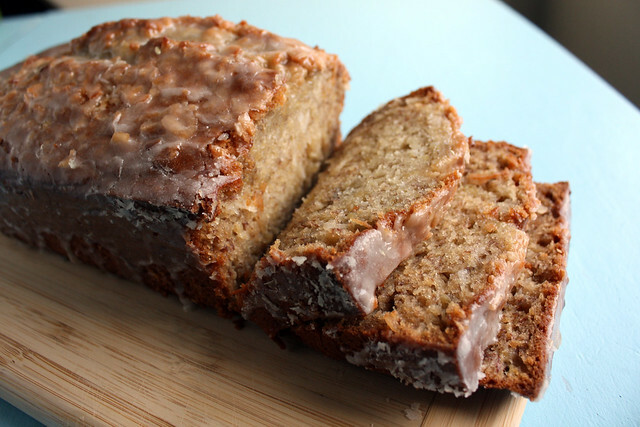 Are you a banana bread purist? Or do you like to shake things up?